Whenever using large, heavy equipment, it’s paramount that operators are not only competent and experienced, but often times it’s also necessary that they are fully certified. This is especially true when using large and very heavy and technical equipment such as cranes. Nickerson Company uses cranes for installations often, however we never send a crane operator who is not certified. Certification is important for a few reasons. Firstly, it’s required by law that crane operators are certified as it’s a precise operation that carries a lot of potential risk if certification is not complete. From uneven terrain to cramped environments to deep wells, the challenges to crane operators are evident at every site. Our operators are not only certified, but we own our cranes, ensuring that when an operator comes to your work site, they are fully trained and experienced on the equipment. This enables Nickerson crane operators to reduce risk of injuries or damage to property and to work efficiently on site. As well, owning our own cranes means that are prepared for any job at any time, there is no extra rental fee or wait time. We are required to go through yearly 3rd party OSHA safety inspections in order to own and operate our own equipment. Every crane we own has current OSHA inspection stickers ensuring they’re ready to go immediately. The crane certification process is both expensive and difficult, and operators have to be re-certified every five years to ensure they’re staying on top of emerging technologies and challenges. 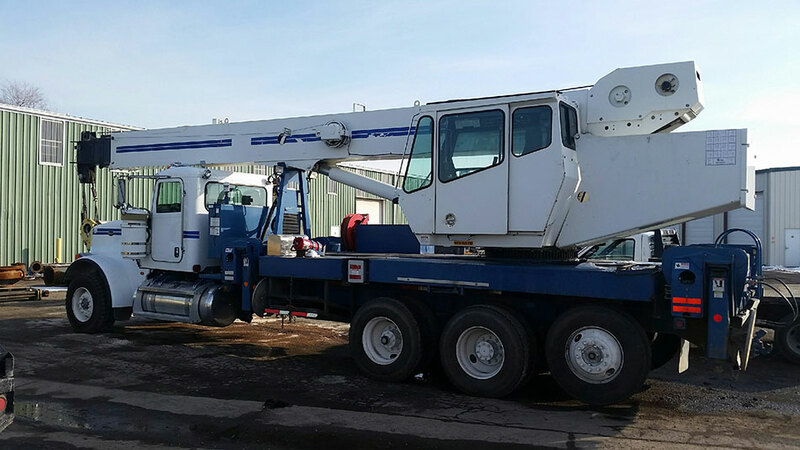 If a job requires a crane weighing over 70 tons, we hire a specialized and certified operator to accompany such a crane on the job site, again ensuring the operation is done precisely, efficiently, and safely. Crane operation for small cranes up to 21 tons written test. Crane operation for larger cranes up to 70 tons written test. Set up and operate by 40-ton crane. Maneuver objects through an obstacle course to show physical proficiency. As with everything we do at Nickerson, crane operation is taken seriously. We will never send an unlicensed or inexperienced operator to your site, and we will meet any and all unique challenges. Learn more about Nickerson’s latest crane. My brother is thinking about working alongside a hoisting service in a new project. He is interested in the help that will come from working this service. It is good to know that these crane operators will be qualified and certified for everyone’s safety, including my brother’s.